Zero risk: Your baseline investment goal in retirement is to at least beat inflation. You can easily beat inflation with no risk if you invest all your money in treasury bonds. With inflation hovering around 2% a year and the 10-year bond yield providing a ~2.7% yield, you’re golden, forever. Treasuries will almost always yield more than inflation. So long as you hold your treasury bond until maturity, you will get all your principal back plus the annual coupon. You can also invest in CDs where the FDIC guarantees up to $250,000 in losses per person. The problem is finding a CD with a high enough interest rate to comfortable cover inflation. CDs also have early withdrawal penalties. Don’t let money get in the way of a wonderful retirement. Your investments should be a relatively worry-free tailwind that ensures you never have to return to the salt mines again. If you are starting to worry about your risk exposure, then dial down risk by raising more cash, CDs, or rebalancing more towards treasury bonds or top-rates muni bonds. The threading was too much above, but seeing how little my father lived on because of his annuity was painful to watch. Even more painful when I went through his paperwork and learned that all the principal ceased to exist upon his death. He technically retired early, but also did not get many years of retirement. Had he known how short his life would be, I imagine he might have chosen to just eat into his accumulation. He would have had a less bare-bones lifestyle. I’m writing this just after the stock market dived over 1,000 points and I couldn’t be happier! I just look at it as another opportunity to buy the lows. It never felt right to me to lower my risk as I approach retirement and I have no intention of changing my portfolio from 100% indexed stocks in my 401K. I know that might seem crazy to everyone but I already have been receiving a pension and have a rental property and no debt. I’m still a few years out from early retirement (55) but may go until 60. I have no immediate need for the 401K so it will probably will be given to family over the years so I think I withstand any corrections. Please let me know your thoughts. Love your guts of going 100% equities at 55! If you’re not feeling bad about a 1,200 point one day decline, then you’re good. Only you know your needs and risk tolerance. I am not Sam but I would tell you that a 100% allocation to equities at your age is usually fine since you have enough time to recover from any bear market. However, the overlay is your individual risk tolerance. If you think you would move any $ out of stocks if they fell 30% tomorrow (an arbitrary number), then move some now. That way you will be less tempted to do so later. I’d stay strong and ride the course if that were to take place. As you mentioned, I’m young enough to ride a few economic cycles. You mentioned that you wouldn’t have more the 70% allocation in stocks… This caught my attention, which leads me to ask, is there an age-consideration for this? I’m a 31-year-old Hospitalist and Physician advisor, and I contribute the max to my 401K, ~$25K per year to my solo 401K, max out my Roth IRA (backdoor), and have a few other saving vehicles. For my employed 401K, I have 100% allocated in VINIX, and VTSAX for my solo 401K. I figured I’d give it till 35 or so, and then shift my allocations to a 90% stocks – 10% bonds… But you made me question plans w/ the aforementioned. What are your thoughts? I had to laugh at the ‘missing out’ comment. Those guys always seem to be the same ones who lose 45% in the big drawdown, sell, and then miss the ride back up. We had a roughly 70/30 portfolio that I manage, and had the exact same return as you had, due to overweighting international/EM a bit. Our benchmark earned 14.9%, so we were happy. 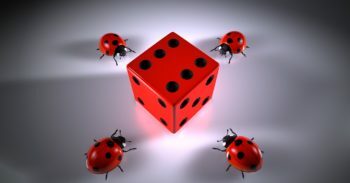 Like Jeff Miller says when considering an investment, I always start by considering my risk. I do wish I’d been as eager as you were to achieve FI. I never really even considered the possibility. I’d like to back you up on the idea that it’s not just your retirement funds that get you to the finish line. We have a second house (bought for in-laws) and a modest business. When our 401Ks stall, something else usually takes off. In addition to investment returns, I measure net worth CAGR… I settled on a 7 year rolling average as a metric. Only twice has it dipped below 10%, which means we’re doubling assets roughly every 7 years, and our net worth CAGR is higher than our investment CAGR, which I really didn’t expect. It’s the balance of different assets that keeps the whole thing moving forward with amazing consistency, even when events like 2008 hit. In all likelihood that is an emotional investor who will enjoy the ride up and sell when “things look bad”. Seen it a million times. It is the reason why the market will never be perfectly efficient. When everybody* is talking about being in the market, it’s likely to be at the top of the bubble! *everybody = the plumber, cab driver, waiter, barber, etc. I may point to a lesson from ‘security analysis’. It talks about the bond/stock allocation and how an investors risk profile may be influenced by the total amount of money they have in the portfolio. A young person may want to go %100 stocks to maximize portfolio growth. A widow with many millions may also want to go %100 stocks as she can wear a 50% downturn and still be FIRE. It’s that middle ground which is appropriate for a split. When it comes to generating income, I don’t understand why people don’t use options. One can simply use covered calls on stocks they own and could double triple their dividend yields annually. And it doesn’t require much work. Using more complicated options strategies, one could even increase returns and reduces risks and that has allowed me to have a return of over 500% in 6.5 years and has propelled me to the top one percent status. But I believe that is not what we are talking about here. We are talking about lazy-man couch-potato strategy that one only needs to review his/her portfolio every 30-45 days and make adjustments accordingly. That should consistently produce effective annual yield of 8 to 12% with very little work regardless of the market condition. It is no more risky than owning stocks if you know what you are doing. If you are selling covered calls against the stocks you own, it could even carry less risks than if you just own the stocks outright without options. In fact there is a blogger who owns Early Retirement Now web site and who does a different version of covered calls. He sells weekly SPX puts to get additional income. Definitely it is very achievable for an average Joe like myself. I plan writing a book about my journey to get there. Nobody can become a multimillionaire or in the top one percent category overnight without an inheritance or winning a lottery. But with the right tools and the diligence, anybody can. Yours truly is a one good example. Enough said. Multi, I’m curious why SPX and not SPY when covered? When a sold put goes against ya you can get the shares, then sell calls on them until the sold calls go against and then back to puts. SPX is cash settled. How far out do you go in time and price? I’ve been selling a few puts 6 months out and 5% down, but stopped due to the current highs. I don’t trade SPX options because of its low liquidity. However, SPX enjoys 1085 contracts tax treatment where one has the benefit of 60% long term and 40% short term capital gains treatment. You have to ask the blogger of Early Retirement Now why he only trades SPX options. It can be fairly involved in terms of strike and expiry selection. Long story short, the optimum choice is perhaps use OTM strikes with 30 delta and about 45 days to expiration. Multi – I have written covered calls, puts and spreads as well. Yes, a nice source of income. I have looked into more complicated strategies but they all seem to be very high risk with a low chance of getting a high reward. Any links you could send me to that would help me understand those strategies in greater detail? I will say that options are only for those who wish to be very involved in their portfolios. Even call and put writing. For instance I had 2 covered calls on Apple with a Feb and April exp date and a strike of $175. I always close early if I can keep 40% of the income within a month. That happened when Apple hit $179. I closed out and made great money for such a short time frame. However, had I not, I would be at a loss now since Apple shares have declined into the mid 160’s. Again, only use options if you are willing to monitor the portfolio. The other key is that a person should be SELLING options, not buying them. At least for the majority of trades. Actually closing out early with 50% max profit without waiting until expiration gives you the most optimum P&L per day. We usually seldom buy options unless a trade goes against me and I have to adjust the delta to the long and short side. The other advantage of options is the flexibility of mitigating the risks for a trade that goes wrong to turn it back to profitability over time. I plan on by the time I retire, I will craft out a strategy with some of my funds engaged in relatively straightforward covered calls arrangements for stocks I want to own. I believe it should produce enough to cover all of my expenses and then some without ever touching the principals. The downside is I will have to pay income taxes on the capital gains. Thanks! I really think this is an area where active management can work. My issue with SPY is that the premiums are just so low now. I have made really good money using AAPL. I always love Sam’s post. A caution though on bonds. We have begun to see a normalization of rates but we are probably far from done. Obviously, it is much better to be in at today’s rate of 2.7% on the 10 year than it was when the rate bottomed at 1.4%. However, treasuries are NOT a safe spot for those contemplating retirement today. The old argument always was that the coupons will be reinvested at higher rates so you will be OK. That was true when rates were at a higher starting point. It isn’t true when rates are this low. The % loss is just too great. It also appears that rates will be trending up for some time. I would rather be in cash for non equity, non real estate money at 1.5% which will adjust upwards when rates rise without reduction in principle. I would be OK with the usual MPT advice of having a certain % in bonds if the bonds had not just come through of being artificially price through the manipulation of central Govs world wide. I currently have 27% in cash. I have no issue with that whatsoever. Should the stock and bond market correct, I will be ready to increase my % into both asset classes. I have 5% in bonds today but one with TIPS as an insurance policy against unexpected inflation. I believe it is too risky for new retirees to be in that high of a bond portfolio right now. I would wait for 3 or 4 more rate increases and for the 10 year to be at least 3.5% to feel comfortable that the normal rules of MPT would apply. I know there are a lot of people writing your strategy of being low risk with lots of bonds and only a minority in Shares / ETFs for indexing in Shares is the best way when you have reached your goal. I´m now in the same situation like you that I can easy live from my assets. Most of it is invested in shares at the moment and the main income are dividends. I don´t plan to sell any shares to get money for the living. I know, a dividend is not that secure in the height of paying like I have a coupon which generates me a fixed income of say 3.5%. On the other hand my experience is, that the average growth of my dividends is around 5%/year with around 3 – 3.5% yield. Even in 2009 I had a growth, but due to some decreases this was not that high as in normal years. I do not care a lot about the course of the shares. So I´m quite passive because I do not often sell shares. On the other hand I´m still working a bit, but this is for my personal fun only and money is not important. So I could decide, I change most of my shares to bonds and do not care a lot in the future. There is one thing I´m worried about. The interest rates are very low, the policy for the money is not strict and we have a very low inflation. This is the same in Germany like in the US. This can change in the future. Lets say, I will buy bonds with 10 or 15 years transit time. What will I do if the interest rates are increasing to 7% and the Inflation to 5%? I do not know if this will happen, but there is a chance. With this I will have a big problem when I have invested the majority in bonds. When we have higher interest rates, the next problem is, that the share market do not perform a lot as well, because many people are investing in high yielding bonds. For this I can get into troubles and if this takes too long, I´m may be not FI at some day. What do you think about this situation? At the moment I do not have a must to decide which will be the way to invest immediatly or to change everything now. But this is a long term question. If we have a situation with high interest rates I probably would buy a lot in bonds. But with the situation now I don´t think this would work for me. But if this works for you, everything is OK. Awesome post! It’s not always about how much you could have made compared to what you did make. Especially since when most people’s portfolios outperform their expectations they begin to fear moving it back to their previously determined asset allocation. Another victim of the FOMO bug. CDs are the only things I still “play” with these days. While I’m quite diversified, I keep my mutual funds and such running on “auto pilot” and won’t touch them until I need them. I “ladder” several CDs since they’re Reliable (value of a CD changes like a bond? Huh? What? They’re fixed % rates) though the interest rates are abysmal, at least I’m getting Something for my money as opposed to leaving it laying around. I don’t factor in inflation, as I’m hoping it’s rather negligible (people kept ramming down my throat “pennywise, dollar foolish” throughout my life anyhow). And I do them at local banks so I’m dealing with living humans not online scam fests. 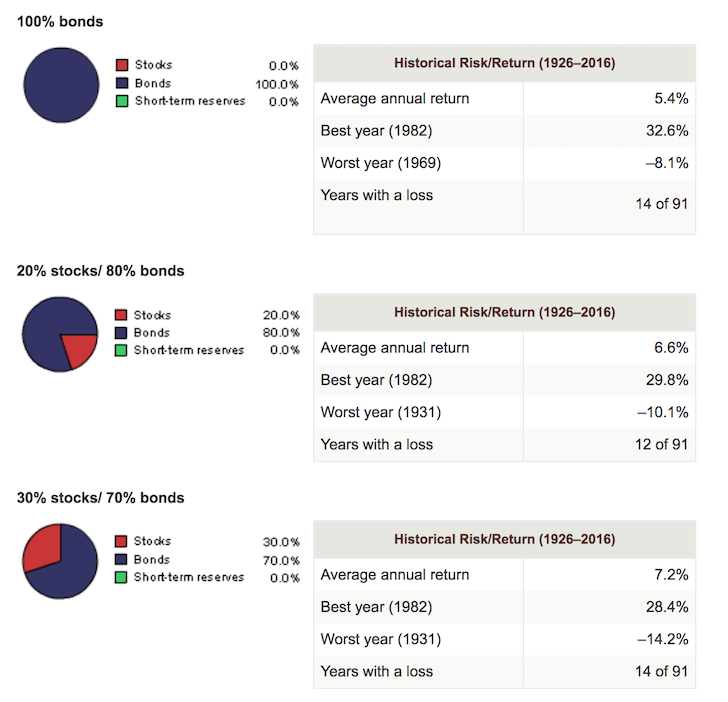 Reading this great article you created Sam made me realize that I should be better off just by investing in some bonds to diversify risk and to be less exposed than I am in the stocks. I am really glad you have all of this insight, but as much as I would want to be able to increase my net worth aggressively I don’t want to risk it. Indeed “I missed out big time…” of the recent equity rallies because I literally cashed out to soon in August 2017. But I rationalized that I’m about to hit my USD5 mn goal networth and I was prepared to cash in the chips. As Sam said I won! Sure it stung that I probably missed another 15% upswing (maybe this could have added another 150k to NW)…I’m sitting on tons of cash/ liquid assets (USD1-2 mn) and ready to allocate slowing and cautiously where to place the investments. I also realize from Sam’s previous posts that I’m now entering my 50s (still working) and I should now emulate a dry run on FIRE (need to create a nice passive income stream)…to see how it feels. It also occurred to me that my kids are 6-8 years away from University and it’s best that I prepare for this. Why take extra risks on the kid’s tuition when you have enough already. Nice break down. We’re 80/20, but that doesn’t include our rental properties. I’m comfortable with that, but will likely lean more conservative as the stock market climbs. FOMO is pretty strong for me at this point because I’m 44. There is plenty of time to recover if there is a big crash. Once I’m 55, I’d be a lot more conservative. What are your thoughts on investing in CD’s vs bonds as far as safe money goes? When I look up CD and bond rates on Vanguard, CD’s provide a better interest rate and they are FDIC insured. Why isn’t this the best safe money option? They are a good option as well for super conservative investors. I have one remaining CD myself. The problem is finding a CD with a high enough interest rate to cover inflation and they have early withdrawal penalties. The value of a CD also changes like a bond, you just don’t see it. The assumption with the CD is that you hold until expiration, whereas with the bond, you have the option to sell earlier than the duration without penalty if there is attractive principal appreciation. If you’ve found 7 to 10 year CDs at 3% or higher I’d love to check them out. Terri in Hermosa Beach here, Water and Power CCU has just offered a 3% 48 month CD with only a 90 day loss of dividend if you break the CD. I believe it is offered to any zip code that they serve or employees of course. Also Connects CU which is easy to join for $5 is offering a 3% 5 year CD but I believe the early penalty is 6 months. Think I’ll put a bit into the 4 year today! Correction: Connexus CU. Spell check gets me again! Indeed, with a 3% yield 4year CD and a 90day interest loss (i.e. 0.75% loss) it’s a no brainer over the 10y TBill, where you’d have to either hold to maturity for 10y at 2.85% or face potentially selling at 10% or so loss in an interest upswing. Holding the TBill to maturity in all circumstances is a fool’s sense of security. If you buy the 10y TBill at 2.85% and then inflation rises above 2.85% then you’d be losing money every year — potentially for ten years! EE savings bonds. After 20 years you are given 4%. The young folk can toss in 10k a year. If you cash out early, much smaller return but no principal risk, well, inflation. Would be great and indeed it would beat every CD on the market if the interest rate were indeed 4% EVERY year (the interest penalty being 90days interest like the typical CD). The problem is that the 4% return is ONLY if you hold it to the 20y maturity. If you cash in earlier then there’s no principal risk (unlike TBills) but the interest rate is puny, about 0.1% currently, it seems. Brilliant article! What I think is challenging for people in the accumulation phase to wrap their heads around is the marginal utility of money. If you are not going to inflate your lifestyle because you already realize that spending more doesn’t make you any happier, keeping your risk at level 100% is really only about ego and keeping score. I completely understand people who hated their careers and pull the plug the instant they get to 25X their expenses have to keep their risk exposure high, but those who have been fortunate/diligent enough to see their nest eggs grow to 50X-100X+ taking unnecessary risk only really matters if your plans include donating a building or something to your alma mater or for some reason feel its necessary to create generational type wealth where their kid’s kids won’t need to work. It is nice not to have a care in the world about how the markets perform. By the same token, if you have accumulated x50-100+ yearly expenses then you need not worry about ever ruining out of money regardless of how the markets do, even if you are 100% stocks. So why not let your money work harder in the higher risk stock allocations (which benefits more the rest of the world BTW) and go for a great intergenerational transfer, especially now that the threat of inheritance taxes has retreated further into the background? Wonderful advice as normal. Would you still say close to 100% in stock is sensible for someone close to 25? Saving for a house deposit, and this has been a great bull run so far. The 100% stock guy has 1 extra loss year per decade than the 100% bond guy and makes double the money. It’s a no brainer. I can deal with that. 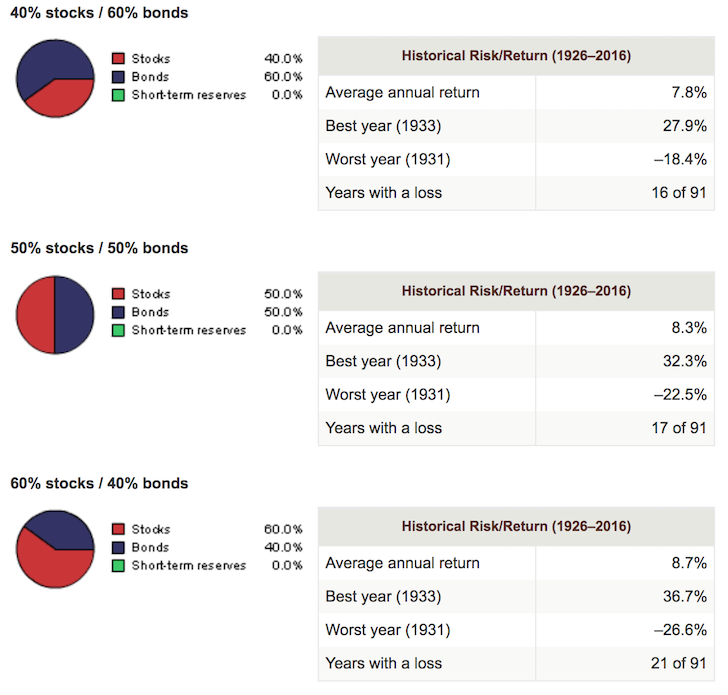 In the next 20 years the 100% stock guy has 2 more loss years than the 100% bond guy. Not bad imho. Doesn’t the bucket approach mitigate most of this perceived risk of losing it all? If you have a portfolio of 80% stocks and 20% cash/ST bonds, and the 20% is sufficient to fund 5-6 years of living expenses, doesn’t this make your portfolio fairly bullet proof in that you can ride out most any correction/bear market? Historically this time frame has been sufficient. Assuming you can sleep well at night why is this not a sound strategy? Plus, if your a “relatively” early retiree…say 50-55, this positions you to enjoy an increasing portfolio over time…upgrade from a very good to a great retirement over time, and leave a nice legacy to change generations. It seems to me that a total return approach is the safest. In this rate environment bonds certainly have their risks. Having lived through 2008-09 and 2000-02 downturns, and importantly, having “won the game” as someone said, I lightened up a lot recently. In hindsight, I took a big risk with 100% equity portfolio in 2012 but it paid off for the past 5 years. There is no smarts, purely luck because I assessed my employment situation back then and told myself, I will be secure for next 5 years, so I can afford to heavily invest in the stock market. Looking back, it wasn’t a valuation decision as much as a personal finance decision! I feel that’s how each one of us should assess our risk tolerance, because it keeps changing with age and circumstances. Going forward, there isn’t such a need for me to take that kind of risk because I am contemplating taking it easy within the next couple of years so the active income I am so used to till now, appears to have an end in sight! Warren Buffett said it nicely “Don’t risk what you have and need for what you don’t have and don’t need”! I can’t match his eloquence even if I tried. I type this after a 30 minute commute. I’m exhausted and disheartened by all the offensive attitudes on the road, everyone fighting for their piece of tar “My car is bigger so you just move out of the way for me” attitude. To all the retirees out there who missed out on BIG money and are living just comfortable, from my point of view, you guys won in ways that you can’t put a price tag to. It is awful at the salt mines, AWFUL! And if ever you forget mail me and I can send you updates on the working world’s regression! I can’t wait until I can retire where the biggest attitude I’ll ever receive is “You missed out big time”. So what if I missed out big time? My house will be a little smaller, my car a little cheaper but I’LL BE FREE! I’LL BE MASTER OF MY OWN TIME, MASTER OF MY OWN ACTIONS! I won’t HAVE to associate with anyone I don’t want to. I’LL BE FREE! Wow it’s really confusing out there right now. Suddenly, I feel over exposed to stocks with this big run up the past few years. I have a portfolio that’s 90% stock funds and 10% bond funds worth about $1m and about $250k of it is gains. Started investing back in late 2014. And there’s $500k in cash that I’m looking to invest as well as a paid off SF condo rental worth about $1m. I know these are amazing problems to have and I appreciate my situation. Everything is going to my niece and nephew and I want to do what’s best for all of us! Ideas anyone? Everyone should be investing for a reason. Not simply to seek the highest return possible. If you are young with a long time horizon you should be taking risk in my opinion. If you are retired early you should still have adequate risk so you don’t run out of mula later in life. If you are older and have a fat stack no need to take the extra risk. Financial independence has to be more enjoyable when you have something coming in. I would struggle to just draw from investments. For me earning some money would help me stick to a plan and be confident. I hope to have some sort of active income alongside other streams I am building. What about real estate? Notes, rentals? What’s the opinion on these assets? Or even some private business holdings, smallish business with a good team can give you a nice 20%+ return a year. This sounds interesting. Have you done this and care to share an evaluation process where the market is to find businesses for sale? Bizbuysell.com is one starting point – not great but ok to start. I helps to have some industry specific skills but lots of businesses will cycle through. I do this mostly with industrial products but am watching for an accounting firm as that would be fun. I like your #1 thought gem, “You’re already free.” Since you don’t have to work anymore you should be happy and should not tie happiness to money. Freedom is the ultimate goal of most people in the FIRE community. You are free to continue working on your own schedule or stop entirely. You can pursue a passion or contribute by volunteering. The choice is all yours andit must be a great feeling! I wish I started investing earlier. the net worth is not yet million dollars. So, retirement is not in the immediate future. I like to learn from the people already FIREd. So true. Although, if you’re inadvertently making money in retirement, taking more risk isn’t as scary. As long as you have backup plans for what could go wrong, you’re golden. I agree that once you have enough, more money doesn’t make you happier. Better to live your awesome life than constantly thinking about how much MORE you could’ve made. “If you already won, stop playing the game.” I don’t know who said this in relation to money, but the person’s a genius. Mrs. G and I entered retirement and 2017 with a very conservative portfolio of 35% equities and 65% bonds/cash. We plan to increase our equity exposure 2.5 percentage points a year until we reach a 60/40 portfolio. Then we’ll maintain that allocation until we croak. Am I leaving money on the table? Of course. But here’s the thing. My mini-government pension plus our portfolio’s dividends are more than our annual expenses. We don’t need a high-risk portfolio. We won. It doesn’t make any sense to risk our retirement so we can keep pace with the S&P 500. And besides, thanks to the lone individual stock in our portfolio having a phenomenal 2017, our very conservative portfolio returned 17% last year. Thanks for showing a little love to the boring and risk-adverse, my friend. Cheers. Diversification to me is about reducing. Even today I have a 90% Stock and 10% Bonds portfolio. 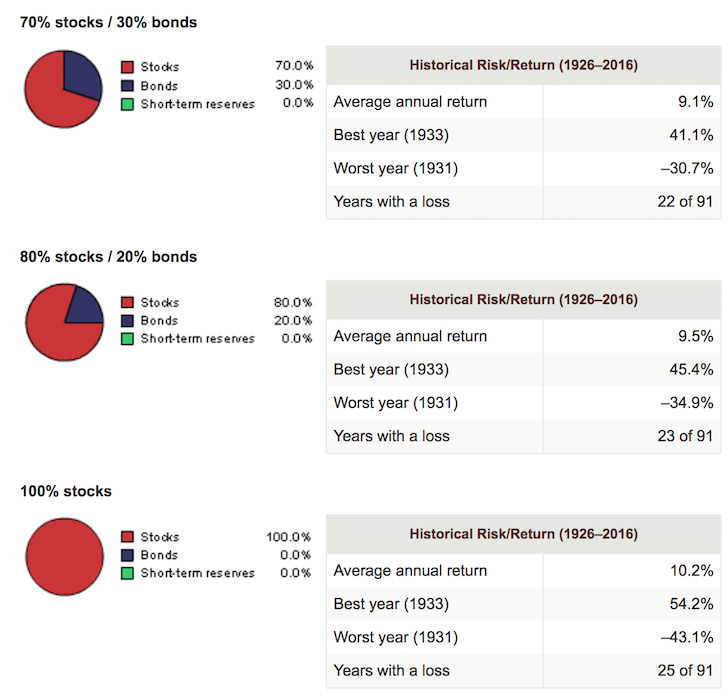 During retirement I would keep around 40% in Stocks and 60% Bonds. If I really want to beat or equal the market I would just invest in Total Market fund. I am probably screwed if their is a down turn. My current asset allocation provides me the best ROI for my risk profile. Safety and a good night’s sleep is one of the two main reasons why I prefer what you call “Budget FI”. I could move up to intermediate FI with a riskier investment portfolio but I prefer to stay around 60k income. That is actually my sweet spot. Then I am relaxed enough in my safe low yield investments to enjoy non pecuniary things in life. The other main reason I don’t like moving up from budget FI is Obamacare. By raising my income not only would I experience the more sleepless stressful nights of a riskier portfolio but I would also lose my Obamacare subsidies. As a family of four I lose about $21k per year in Obamacare subsidies as I increase my income from 34k to 98k. That essentially introduces an additional 30% effective marginal tax rate on every dollar I make in that range. That is on top of my federal tax rate and state tax rate! So my effective marginal tax rate is over 50% on everything I make above 60k. Active income is out of the question in these circumstances since I’d have to add self employment and Medicare taxes to all that. I’d be working for 20-30cents to the dollar and if I have to commute I’d be down to ten cents on the dollar of earned income ending up in my pockets. So thanks, but no thanks. So, you will say, you are sitting idle, not even giving your money to companies and entrepreneurs to improve the economy (i.e. you keep your money in low utilization vehicles) and are also getting taxpayer subsidies from people who work? Well folks, that is what you voted for. I’ve lived in Europe for a long time and I’m well versed in taking advantage of subsidies in a high tax environment. There’s no putting that toothpaste back in the tube. Thanks Sam, some good reminders there about risk, and making sure you understand and are comfortable with your choices. I’m in the accumulation phase and at 95% stocks, which I am comfortable with, but my long term plan needs fleshed out..when I FIRE do I want to stay heavily invested? Since I’ll be more frugal FIRE, I think I’ll remain high in stocks until I get nearer more luxurious FIRE. Muni bonds worked out very well for my in laws. Could they have risked their tails some more? Yes I suppose missing a few hours of sleep each night they could be richer. But does it really matter if they’re already retired and free? Nope! You’re absolutely right! Once you’ve made your nut, “satisfied and content” I no longer see any point in risking it all again. as my Casino money. Still love the action. One small tip if you’re investing in U.S. Treasury bonds: the interest income is exempt from state and local taxes. This can be quite significant if you’re in a high-tax bracket in a high-tax, coastal city like San Francisco, Los Angeles, or New York. I’m at 90/10 at 44 years old and comfortably FI with a good income. Your posts helps me realize that I’m likely too aggressive. Given that I still have a good income, may stay that way for a few more years. For me if you don’t know what step to take, go for a 50/50% portfolio between stocks and bonds. rebalance once a year. Stay the course. Enjoy life. I am from a coastal city, and I’ll never get to 300k in passive income. It’s depressing. I was the same until I changed my attitude and stopped focussing on dividends and passive income as defined here. I live in a coastal city and I look at that in a different way. The valuable real estate and high rents make it much easier for me than my relatives living in Low COL areas to accumulate wealth and generate income or cash flow. I count all my income including capital gains as passive income long as I don’t have to work for it other than manage it. So: pensions+rental income+plus interest/dividends/capital gains in investment portfolio+capital gains in real estate = >$500,000., well into blockbuster retirement. I logically will never anything to worry about but my passive income as defined here is quite low. The investment capital gains are available to me to spend — all I have to do is sell some stocks. I am still not touching capital/principal because I limit my withdrawal to less than 50% of my gains. The real estate gains are not readily available unless I borrow more or sell but they are a safety net but the real estate allows me to generate good rental income. I can always downsize in dire times or simply rent the part or all of the house and rent something else nearby. On top of all of this, my income increases every year because my capital increases every year and therefore generates more income. I don’t worry about paying off mortgages because I have made the interest tax deductible. So my strategy for FIRE was buy a big house in a coastal city, take on a big mortgage, rent out portions, focus on agressively growing my investment portfolio (100% stocks) and defer taxes as long as possible. My view of risk is different — investing in income (bonds, dividend stocks, REITs, other bond equivalents) is that the risk of even a small capital loss wipes out any passive income plus there is no compounding as you are spending the income. To reduce stress and risk, I sold a rental condo some years ago and stopped taking contract work. Also, looked into blogging but it is far too much work and I love full retirement. Now I travel a lot and smile a lot. My investments and real estate are doing fine and I have excellent tenants that look after my property very well. So, I look at living in a coastal city as a huge advantage. I do get where Sam is coming from on bond portfolio as a substitute for a pension and for current certain permanent cash flow. I am a little doubtful though that any investment strategy is risk-free. These are good points. There is no risk-free passive income. I did post an update of my 2018-2019 passive income portfolio if you are curious. Yes, I have read that one. I read most of them including the comments. You are the most interesting PF writer and thinker by a massive margin and your commenters are great too. Nice to read advice from somebody who has done it, rather than working on it. I hope you pull back from burn out and keep roaring along, even if there are some changes in intensity or variety. I’ll be very interested in how you get that house on the beach in Hawaii. My sky high dream is a house with gorgeous views of the mountains/ocean/city — might have to be a PH condo or maybe rent something in another country. I really admire your family values and your values in general. Straight-shooter with tested principles. I can understand taking some of the gains to live, which is what you may be doing depending on what your non cap gains income is regardless of how you choose to identify it. With that said, in the years that your cap gains turn to cap losses that exceed your real passive income will you also spend half of your gains? Because you live in a coastal city with high real estate gains the last few years and that gain is not liquid, to create your spending cash, you are taking loans or extracting a larger amount from your stock portfolio. Seems like a repeat of the last over leveraged crisis we had. Specifically, my house is worth 500k more than it was, I’ll take the equity and buy crap. Then property values drop and bank calls loan. Non coastal city, want for nothing, no pension, no debt, no inheritance just rentals, notes, CDs and a little stock. The amount I spend of the gains is discretionary — all on travel, so I could just stop spending if there are losses. Or I could sell some stocks at a loss and keep spending. If there is a crash of say 30%, $1 million is now $700,000., then in the next few years, I make 15% so back to $1 million in 2.5 years even, a little longer if I keep withdrawing. If I just spend interest and dividends from a “safe” portfolio, and my portfolio has losses due to rising interest rates, then I am in the same situation as with 100% stocks, actually even worse because the portfolio is much smaller before the crash. At least with the stock portfolio, it grows fast and the gains are compounded so in the good years, so I build a big safety net, i.e. can afford to lose some of it. What I do is risk-assess every year. My worst year, I made 5% so I just took that out, but usually it’s 15-25% gains and I am taking out about 30% of that. The leveraged crisis in the US did not happen in Canada, but after 50 years in real estate in a coastal city going through pull backs and long slow markets, I just keeping paying the mortgage. My debt ratio on the real estate is very low — about 25%. I don’t keep borrowing on the equity. Yes, the MV could go down, but I would still get rental income and still make the mortgage payments without withdrawing anything from the investments. It is a delicate balance, wanting to travel a lot, but also knowing I need to make it last a long time, and sitting on huge home equity that is not accessible is constantly on my mind. I do run numbers all the time, but the condo/downsizing to cheaper house option actually gives me less on income and capital gain. So I stay put and travel a lot. But we each make it work in our own way to optimize our life style and happiness. My way is not for everybody. I was just trying to encourage Snowcanyon. I have great incentive to live in a mild climate away from cold winters, and hot dry desserts. I could sell up and buy a fabulous house in an interior location and travel more but I don’t think I’d be happy as I grow into late old age when travelling less, and needing hospitals and transportation. Trying to keep options open and not be house poor either. Very good point. In fact, I am married to a Nicaraguan, and this is exactly why in so many Latin American countries, people don’t save at all. In Argentina for example during their hyper inflation, you spent your salary immediately because come afternoon, the essentials may have doubled in price. Second, when you buy a 10 year treasury bond at 2.7% interest rate you are betting that you will beat inflation not only today but for the next 10 years. So a 10 year treasury bond is not a “safe “investment. It is an investment that contains quite a bit of speculation, again, speculation that your 2.7% FIXED interest rate will be above inflation for the next 10 years. So, in that respect, the comparison should be between a short term T-bill, for example a one year T-bill versus inflation. In that case the current return is equal to inflation, both equal to about 1.7% per year. There is no real return. This is all an artifact of the central planning our elected economic masters (indirectly the FED) impose on us. By suppressing the entire risk return curve, the FED has essentially said: “There shall no longer be riskless reward for delayed gratification”. This principle is then implemented through interest rates that are so low that if you buy safe investments then your return is at or slightly below inflation, and therefore you get no reward for saving instead of spending. Of course the Fed cannot control everything… therefore wealthier people or financially independent people (i.e. people with flexibility) like you and me have been able to outsmart the Fed (and the voter-lemmings that indirectly elected them) put our money into equities and real assets which have all inflated — and thus profited handsomely, so far… However, the final chapter for those of us who took the high-risk has perhaps not been written yet. There used to be an unwritten societal contract that was fair and productive: “If you don’t spend your money and delay your gratification, thus essentially giving your money to somebody else to start something new (i.e. invest) , then you will be rewarded”. This makes sense and is actually both fair and productive. Otherwise, why forgo buying the Porsche today when life is finite? You may delay buying the Porsche for 10 years IF at the end of the decade you can buy two porches instead of one. That used to be the societal contract and that is why there was saving, because delayed gratification and returns — even in safe investments! — was rewarded. In today’s negative real interest rate environment that is no longer the case. Today (or for the last decade for that matter) you either accept capital eroding below inflation interest rates, or you take a lot of risk. And, as I said, the final chapter for those who took more risk may not have been written yet, a correction may still be in the cards. So ponder for a minute what is the overall de-facto message that a young generation gets from this policy. The overall message is that saving just ain’t worth it. If you save and invest in safe delayed gratification vehicles (like treasuries) the riskless return does not even match inflation and your real reward is zero or even negative. If, on the other hand, you take a lot of risk with equities then you may have had a good run for the last few years but there’s severe risk that you will get clobbered in a correction sooner or later. Even with a 10 year treasury bond, which essentially yields a real interest rate of 1% (= nominal yield 2.7%- inflation 1.7%) you would need $10 million to generate $100,000 in financial independence income–and that assumes that the puny 2.7% interest rate on the T bill will be beating inflation not only today but also for the next 10 years! That is what a young generation sees in a nutshell and decides that saving just ain’t worth the trouble. It is not an irrational approach actually, given the financially oppressive circumstances our economic masters have created. But we have essentially been electing these economic masters for a decade now, so younger people are really getting what they wanted after all. This is, in my view, the fundamental fiscal backdrop against which all our financial aspirations exist, so I’d be interested in your opinion. Love this……This is all an artifact of the central planning our elected economic masters (indirectly the FED) impose on us. By suppressing the entire risk return curve, the FED has essentially said: “There shall no longer be riskless reward for delayed gratification”. I think this chart visualizes what you are saying. Consumer spending is 70% of the economy, so to keep the whole thing going they have to make policies discouraging saving. I have the same question! I must not understand all there is to know about bonds. Can anyone provide insight? ‘When you’ve won the game stop playing. ‘ Comparitive returns don’t matter. What your comfortable with does. “The pain of losing money is always much worse than the joy of making money. If you’ve already got all the money you’ll ever need, there simply is no point taking outsized risk.” This quote is spot on. I’m not FI yet so I plan to hang on to my mostly equities portfolio right now. Once I’ve “won” and don’t need the extra returns, I’ll certainly be taking less risk to sleep better at night. Bottom Line: Only take the risk you need to take, in order to get the return you need to earn. Last week I sold $200k from a Muni Bond mutual fund (Vanguard VWITX) to pay off our 3.5% mortgage. Why? I’m FIRE’ing in June, and don’t need more than the Risk Free 3.5% I “earn” by paying off them the mortgage. 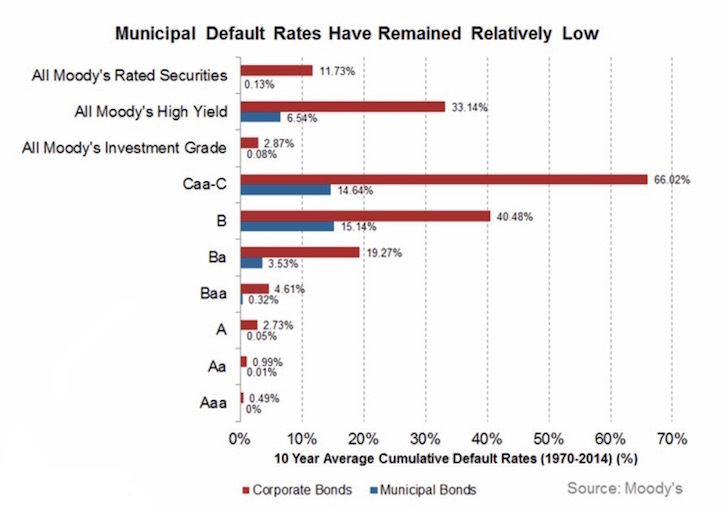 Muni’s, via mutual funds, have some risk of capital loss as interest rates rise. I decided to go risk free. Loved this article, it’s exactly the same way I think about it. You still took some risk though. If interest rates go up to 7.5% in five years, that 3.5% interest rate you would be keeping your bank locked down to would have been pretty attractive. You could then use your 200k to buy a truly risk free 1y T-Bill (1y not 10y!) at around 8% return and pocket the 4.5% difference. You may say that interest rates will never go up again. Fair enough, but that is a bet you made nonetheless. Any bet with interest rates, whether short or long, is a bet nonetheless. There is no free lunch, especially in the financially oppressed times our economic masters have put us into (as I describe in more detail in a post below). I agree, HB, that there may be a future opportunity cost associated with our decision to pay off the mortgage. I don’t think I said interest rates will never go up again – not sure I said that. In fact, I feel quite the opposite. Because interest rates are going up, my 6-year average maturity muni bonds will suffer loss of principle, another reason why it makes sense, to me, to sell the muni’s and pay off the mortgage. I don’t need more than a 3.5% return, given my “I don’t need a big return” risk profile, as so beautifully described by Sam above. I’ve Made It. Take the low risk option. Fritz, your rationale is solid. I’m sure it was potentially more emotional than financially driven as it is nice to go into retirement debt free. Hard to place a value on peace of mind ;) I would just offer a slightly different perspective as I too was looking to make a similar decision. Like you, I have a 3.5% mortgage rate, 15-year fixed, with about 7 years to go. I was thinking about making a lump payment toward principal to reduce that to 5 years. I ran an amortization schedule on my remaining time of my mortgage and was somewhat surprised by the results. As most people know, mortgages load interest on the front end of the early years of the mortgage. The longer you have the mortgage the total interest begins to drop since you paid more interest up front. When I ran our numbers, I realized my total interest remaining on our loan was only 12.6% higher than the principal and that is spread out over the remaining 7 years. If it were linear, that equates to ~1.8% per year of interest. Factor in the mortgage deduction and the effective annual rate is ~1.3%. Even my EE Savings Bonds are generating 2X return of that rate. I came to the conclusion that at this point in my mortgage, with the effective rate being so low, it probably doesn’t make sense for us to take money from higher returning investments to pay down my mortgage. Fortunately, we have the ability to pay it off anytime we want so I feel like we can afford to take on a little market risk for now and see what happens. Good luck when you pull the trigger in June. I’m sure you guys will have an awesome retirement! Fritz, I paid off my home two years ago. I could have doubled or tripled my money in the market had I not, but I’m still happy I paid it off. You won’t regret it. It’s a wonderful feeling. PS. I enjoyed your talk on ChooseFI podcast. We’re in the same boat as Fritz. Within a few months, we’ll have three paid for properties and no debt at all. We’re selling our 8-unit apartment complex and freeing ourselves of the worry (even with a property manager). We’re 50 and almost 60. It’s time to have fun and see the world – and not worry about people slipping on ice and suing us. “More money won’t make us happier” – but less stress and less “stuff” in our lives will. It already has with just a few moves in the last few months. Sam’s right on track here as usual – as many have said. Smart plan Sam-urai. With your asset level you dont need to take additional risk to squeeze out a little extra return. Any wealth management professional knows this and would advise like your plans above. You obvious understand how to grow wealth and protect it at the same time! Nice article. Agreed that the asset allocation will vary depending on individual circumstances for each individual. But yes, if you’re using your investments for living expenses currently or in the near future, a good amount should be in less risky short term investments. And at least some should be in equities in order to participate in some of the growth of the economy. Not only are life expectancies getting longer, but you may also wish to consider how much you will leave behind to heirs. Also, longer term bonds, whether they are treasury or municipal can still be very risky. A significant rise in interest rates and inflation can cost you. The bond can drop in price quickly in such a case. Now if you hold it to maturity you will get back all your principal. But your income during the holding period may not keep up with inflation or the going market rate of newer bonds. Great advice as usual. Being older but at a zero withdrawal rate in retirement I plan to stay 50-70% in stocks, I’m at 50% right now with some cash waiting for lower stock prices. I could just dump everything in bonds but keeping a balanced portfolio feels like better stewardship of the money. Yes always obvious in hindsight – the bigger problem is comments like that make you think the outcome was predictable back then, and can lead you to take unnecessary risk as your confidence in your own ‘super prediction abilities’ grows. There were hundreds of potential risks during the year which might have eventuated, and being unprepared for any of those could have been a disaster for some people. Just because the ‘big time’ returns scenario ended up happening shouldn’t lead you away from managing your risk properly. Great message Sam, and well presented. It’s the classic case of the more you have, the more you have….to lose. I have many years to go, but I don’t see any reason why I wouldn’t be in the zero to a minimal risk category, especially when I am several years into retirement. This is a great resource you’ve put together for retirees! You nailed it with point number 1. Yes if you are already free you win! I’d take a 10% return in early retirement any day versus a 50% return in the salt mines. Very thorough post and solid suggestions on various allocations for retirees! Hah that made me chuckle. Who cares? If you NEEDED the ‘big’ returns (not even considering that you far out-performed what you’d hoped) then why would you have retired in the first place??? This is part of what I love about finance though – just how unique it can be to everyone. Nobody’s got quite the same risk tolerance as someone else…just another example of making sure you do what’s right for you. Sam, would you ever buy/invest in an annuity? I know about all the fees they make selling them, and that they are considered a bad investment by many, but there’s just something about the idea, that no matter what, this insurance company is going to send me a check until I die. And that amount, combined with social security, is more than enough to pay my bills. Now, I’m only 50, but it’s something I ponder a lot, even with a small multi-million dollar networth. I just like the safety of it all. I lived a bit wreckless entrepreneurially speaking for many years, and I find the safety of an annuity attractive, even with an intended future withdrawal rate of 3%. I would only use maybe a 1/5th of my money to purchase the annuity. Set up your own ‘annuity’ by investing those monies into a group of 5-6 closed end funds; you should be able to yield 6-7% (or maybe even higher) and the principal is still yours. Even if you lose half of your investment which isn’t likely you’ve still got the other half, unlink an annuity where you lose access to all of the original principal. Most of them pay a monthly or quarterly dividend, providing a steady revenue stream on a consistent basis. But Bob, funds and dividends are not 100%, especially for 30 years. Likely. Yes, very likely, but not 100%. I don’t mind the risk of losing the principle if after X amount of years, if I live X years, I make the principle back. And with my 1/5th investment above in the annuity, I’ll still have 4/5ths in stocks and a minor amount in bonds growing. The annuity is another way to diversify that is a little less risky… possibly not as profitable, but less risky. I look at it like it’s a life insurance policy… except you live. I would think Sam would NEVER ever buy an annuity because the principle is gone when you die. Some insurance companies may even go out of business and you will lose your income. Also, the commission may be a hefty 5-8%. 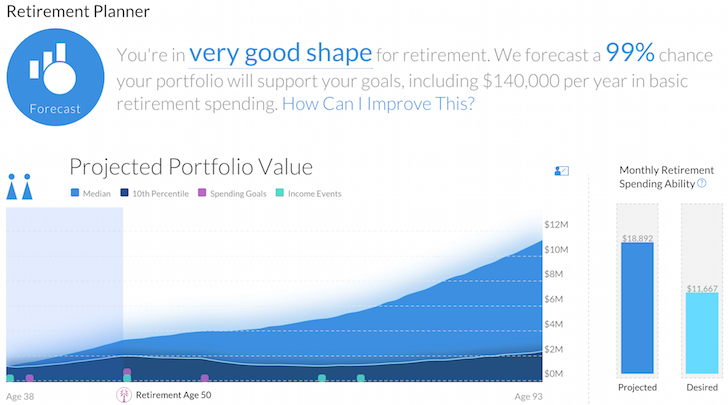 Like what Bob H wrote, create your own “annuity”. I would suggest buying municipal bonds if your state is financially strong. We are age 52/53. We have a bit over 2M of 3.65% to 5% individual muni bonds that will generate 87.5K tax free in 2018. You can always sell it in the future but you may lose some principle depending on the value of the bond. I buy the cow for its milk. I keep my bonds until they are called or matures so that I will get the face value principle back. I also try to buy my bonds near PAR ($100) so that I won’t lose too much premium when the bond is called/matures. I now only buy muni bonds via my Fidelity account which is 1-2% cheaper than buying muni bonds from a brokerage or a bank. I’m in a very similar situation. Unlike munis, but I can’t find much for more than 3%. I prefer to buy bonds directly but I do own 2 funds that use leverage to get to 5 or 5.5%. The other issue with bonds in inflation will eat you alive over the long-term (we do have 30 years left!). Instead, I’ve gone the REIT and dividend growth route. Splash in dome preferred and I can make 5%, although with a higher risk profile but also growth to keep up with inflation. P.S. I’d love to see a discussion on health insurance which is my biggest worry. Main thing is that you are earning 5% or 5.5% I know that stocks, REITs, rentals, etc are better to keep up with inflation but we prefer to sleep at nights with munis. We are ULTRA financially conservative so before munis our life savings were in CDs. I know that our principle in our munis will not appreciate like with stocks and that is OK. At least, we are earning Yield to Worst > 3.9% tax free. Otherwise, it would be earning less than .5% taxable for the last 9 years. I am happy earning 87K tax free this year. My wife is retired in 2016 with a 52K pension and gets 8K for retiree company medical. For 2018, her medical is 12.8K and her out of pocket is 4.8K. We budgeted 20K for medical for both of us. We factored in 8% inflation for medical and 3% inflation for expenses yearly. Medical cost is scary. That is why I choose to work another 20 more months to double my pension to 70K and to get 8K yearly for retiree company medical. I can’t depend on obamacare to be around in the future. Our 401Ks are invested in fix 4.35% interest will generate over 80K in 2018. Hopefully, it will generate 100K combined at age 60. With our passive incomes from munis, pensions, 401Ks and SS, it will cover 2-3X expenses. Our expenses are 55-65K a year. We will get a min of 257K to 338K in passive income at 62 so we can afford to be more conservative. What are your 401k’s invested in to get 4.35% fixed ? Is it at Fidelity? Our 401Ks are managed by our own company. I heard that they invest in corporate bonds to provide the fixed rate. I only buy muni bonds in Fidelity. Even when I retire, I will leave my 401K at my company mainly for the fixed interest rate. 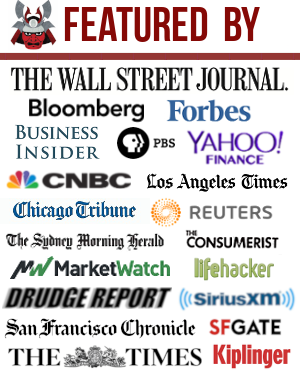 Our company is in the top 100 of the fortune 500 companies so it is stable.